Urban farmers growing vegetables to feed millions of people in Africa's ever-growing cities could unwittingly be helping to spread disease by irrigating crops with wastewater, a new study reveals. Professor Laura Piddock, from the University of Birmingham's Institute of Microbiology and Infection, commented: "Using wastewater for agricultural irrigation represents a very serious health risk, not least as it increases exposure to faecal pathogens. Wastewater appears to be a 'hot spot' for antibiotic resistant bacteria in Burkina Faso." "We urgently need further investigations to determine the extent that exposed populations are affected by this health issue. There is also an urgent need to improve global access to clean water, sanitation, and hygiene in low and middle-income countries to help prevent bacterial resistance spreading from the environment to people." Dr. Blaise Bougnon from the University of Yaounde (Cameroon), commented: "Some 200 million urban dwellers are reported to be engaged in urban agriculture world-wide and, in some cases, produce up to 90 per cent of cities' demand for perishable vegetables, according to UN research. 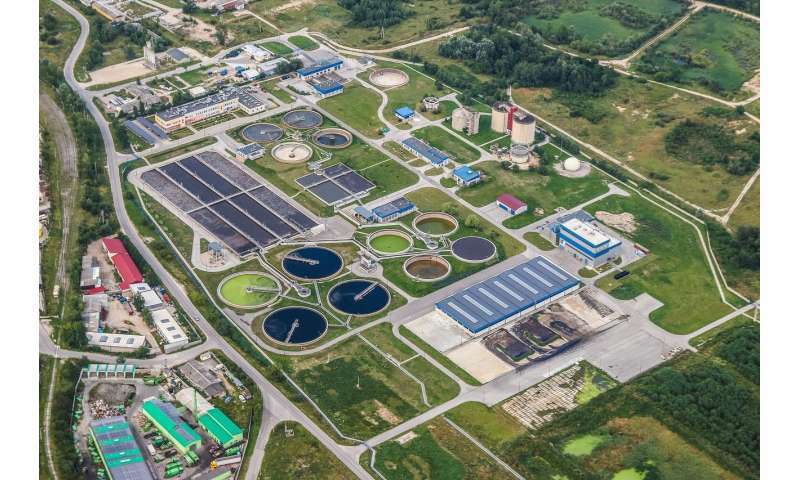 "Over 80 per cent of domestic and industrial wastewater generated in low and middle-income countries is discharged untreated into the environment. Because of its low cost, availability and nutrient content, urban agriculture relies on wastewater for irrigation."